With Facebook investigating how a software flaw exposed the accounts of some 50 million of its users, European regulators are already asking for answers and gearing up for possible legal action against the social media giant. 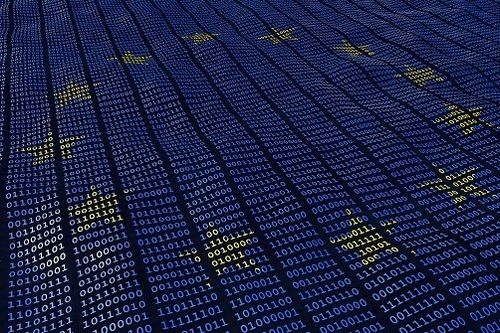 Depending on what happens next, the Irish commission could trigger an investigation using the European Union's newly established General Data Protection Regulation (GDPR). Since a fine under GDPR would total 4% of a firm's global revenue, Facebook could face a $1.63 billion penalty, according to an estimate from the Wall Street Journal. Timur Kovalev, CTO of Untangle, which makes network security tools for small businesses, wrote in an email to Security Now that the timing of Facebook's disclosure to EU regulators, as well as to its customers and users, is critical. Whether or not those disclosures satisfy regulators is key to what happens next. With more than 50 million people affected and Facebook already under intense scrutiny from the United States Congress over privacy and security concerns, the company must take extra steps to safeguard their users' data. Before any fine is handed down, the EU must determine if Facebook notified regulators and their users within 3 days of the breach and ensure that Facebook is cooperating with the regulators during the investigation. While it seems Facebook is taking precautionary steps to reset over 90 million accounts, EU regulators must still determine whether Facebook had sufficient measures in place prior to the breach to avoid any fines. Rishi Bhargava, co-founder of security automation and orchestration firm Demisto, writes that Facebook can point to its security infrastructure and defenses as a way to show compliance. However, it's the company's data collection methods that could test the fledgling GDPR rules. "And that's where regulators will have to reconcile the vastness of data Facebook collects with what they consider to be 'relevant' data that Facebook collects," Bhargava wrote. "Facebook will attest that its value stems from collecting personalized user data; even irrelevant, tangential data collected can lead to personalized suggestions and a better experience for users. In this scenario, the final decision taken in this case is sure to act as a powerful precedent for tech firms in GDPR violation investigations going forward." However, not everyone is convinced that the Facebook data breach will result in a fine. Chris Morales, head of security analytics at Vectra, which sells automated threat management tools, told Security Now in an email that the data exposed by the software flaw was already in the public domain as opposed to banking or credit card information. Also, Facebook has already reset the tokens of about 90 million users and it's not clear if any of the data had actually been taken. "The proposed fine is out of proportion with the breach," Morales wrote. "A lot of content that users post on Facebook is shared publicly and cannot be classified as private information. This data breach is different than leaking your personal credit card, health information, or even your personal browsing history. The worst-case scenario is the compromised user tokens could be used to log in to other websites that leverage the FB authentication framework. However, Facebook reset the affected user accounts to clear the tokens."